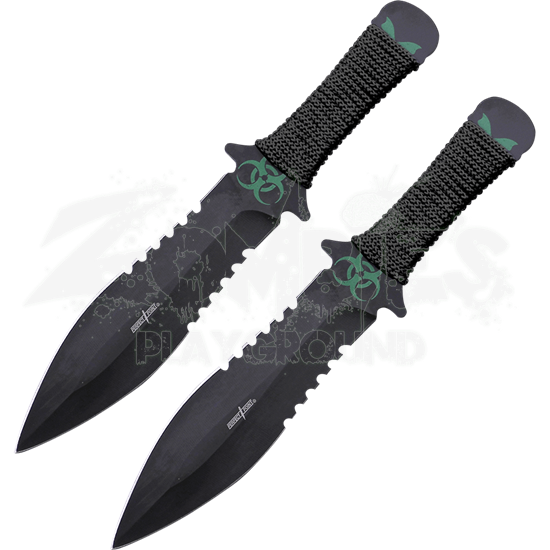 If apocalyptic survival is among your interests, you need a pair of throwing knives that shows it. Whether practicing or competing, the Biohazard Serrated Throwers combine your equally impressive survival and knife skills. Crafted from stainless steel, this set of two throwing knives is durable to last through your rounds of practicing and your victories at competitions. These black painted knives are great utility tools as well, thanks to the broad tooth serration featured at the base of the blades. 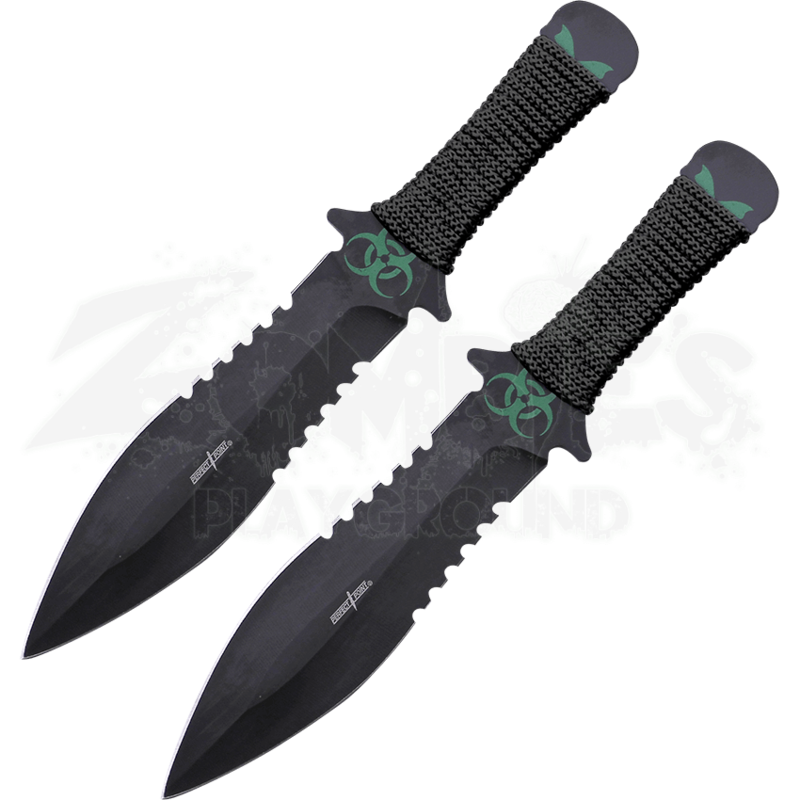 Green biohazard symbols are featured on the black cord wrapped handles, which provide resistance. With a sheath included, your Biohazard Serrated Throwers are concealed until you are ready to throw them, either at a competition or in a survival situation of biohazard proportions.